This discussion is meant to help you navigate through some unknown territory in your early stages of being in the hemp industry. There are always different routes you can take depending on the resources you have available. I wrote this to help others and provide information that I wish I could have found when I first became a licensed hemp farmer in 2015. Post emergence of Futura 75, fiber variety. Get your soil tested at the Co-op or your state’s department of agriculture testing center to analyze if your soil needs any amendments or carries any harmful residuals before you decide on growing area. Some things you may want to consider in the off season. talk to processors or stores to understand what quality material they are looking to buy. Don’t expect to get projected pricing because in this volatile market, the market price rapidly shifts based on supply and demand. Meaning if there is a lot of material out there available, the price will be low. Less available material you can bet the price will be higher. decide what market you will enter and try to find potential buyer before getting started. Be wary of contractual agreements that state a fixed % of CBD. Worst case scenario, if your genetics happen to perform a bit different than expected you could be left high and dry. Always consult a lawyer before signing. Planting day for grain trials at the Agricenter in Memphis, TN. Rowdy roots of Cannaboost from feminized seed, variety widely grown in TN in 2018.
plastic or no plastic? Plastic is up to you and is directly proportional to the amount of labor you have. Plastics primary benefit is to mitigate weeds. However be aware that sometimes plastic is costly and harmful to the earth. If you do decide to use plastic, try white or biodegradable. Also be aware of potential yield variations when using plastic. Should I implement a nutrient regimen? Yes, we recommend in finding the best nutrients that fit your budget. Grow store staff are some of your best resources for this. We recommend starting there, buy local! Nutrients are easy to over spend on so we suggest doing your homework. Should I use any soil amendments such as soil probiotics? You will start seeing many more of these on the market and the best answer we can give you is to experiment. Tobacco setting equipment either modified or not modified has been a popular approach to planting and also cuts down on labor. We recommend making sure your roots are good and rowdy before planting. Youtube has many videos displaying this method. Currently no pesticides, fungicides or herbicides are listed. Beneficials are great including lady bugs and nematodes. Some times wasp larvae is beneficial for greenhouses. Neem oil is a popular way to deal with mites, spray at night. You also want to be mindful not to spray a week or more before flowering so as not to disturb the aroma of your cannabis. Preventative and proactive approaches are key, your local extension agents are also wonderful resources. If you happen to get laden with fungal issues, it is best to properly clean all of your equipment, greenhouse and soil. Many different approaches may be applicable. Omri certified products are what a lot of people use. One trick a lot of growers use to stop pests from building up a tolerance to one product is to rotate 2-3 products, using a different product each week. Favorite dudes in hemp. Bill Corbin and Dr. Eric Walker. Most genetics will be harvested between week eight and ten. Over the last couple of years genetics have been developed to perform in various temperate zones and optimal planting dates widely vary for outdoor anywhere between late April to early September. These are questions to ask your clone or seed provider in order to plan a successful outdoor grow. Majority of states will allow producers to schedule their regulatory testing with the department of agriculture up to 30 days before harvest. A lot of experts in the field say to harvest by trichome resin color. Most recommend clear to cloudy for harvest. Some farmers may want to consider rapid potency testing from a third party source. Most processors will give you information and let you know their expectations of carrying third party testing out. I have heard some labs suggests getting potency testing beginning at week five to keep track of THC, however that could be a clever sales tactic and is genetic dependent. Again the more you know about your genetics, the better. The person you buy from should have grown the variety personally before and be able to tell you when and if you need to be cautious about THC production. Most farmers manually harvest their CBD cultivars by cutting at the base of their plants. Tobacco hanging techniques offer great ideas for carrying out this process. Equipment is being developed by hemp harvest works and others such as John Deere. Stripping material is done while fresh and then layed out to dry for small harvests and immediate sales. For larger harvests barns and warehouses are utilized to hang material dry and then stripping is done later before packing material to store or ship off. There are very few commercial drying facilities available currently but keep your eyes and ears open. Drying facilities and storage are a crucial part of post harvest and should not be an after thought. Again you proposed buyer should have some information concerning what moisture content and storage methods they prefer. Our suggestion would be as follows; if you do not have your crop sold by the time it is dry and ready to be packaged you should deeply consider turning it into crude before trying to store it for an unknown amount of time before you can sell it. You may have to pay a processor up front to do this but based on my research you may be better off. CBD degrades pretty rapidly without engaging costly preservation techniques plus you will need more space for storage. This topic is arguable as most are in hemp. When storing material in large bags/boxes, make sure not to pack to tight. Too much weight may damage phytochemical contents. Most seeded crops are harvested using a modernized modified combine. The top material is collected, while the stalks are cut and separated. In most situations the top material needs to be layed out in a properly ventilated drying area with access to free moving air supplied by fans. Allowing material to properly dry beforehand will allow seed cleaning to be more efficient. Once material is dried it can then be cleaned using a seed cleaner. This process separates flower material from seeds. If CBD value is high enough some extractors may be interested in this material. After going through the seed cleaner, seeds can be passed through a seed press or dehuller. If its the hearts you are after. The hulls could be used to make protein/fiber mixes or animal feed. The whole seed can of course be used for animal feed and passed through a seed press for oil production. Please be aware of animals differentiating dietary needs and find out beforehand if whole hempseeds are safe for that particular animal. Hemp seed oil can be used for various end uses including cosmetics, nutraceuticals and food. There have also been experiments with making hemp biodiesel. Fiber has so many applications in the modern world however processing infrastructure is extremely costly. A lot of farmers will used a modified combine to harvest. It is advised by many to be extremely careful as material wraps around the bindings and has previously caused equipment to catch fire. We strongly suggests achieving a contract from a known fiber processor before growing and understanding their specs. Typically that company knows exactly how they would like it processed, stored and packaged. They may also ask for many pictures or samples of the material before buying. If you decide to roll or hang your harvest, make sure you have adequate space for storage. Use hay bale storage methods for rolls to avoid fires. Some companies may have access to mobile decorticators, again please talk with your proposed buyer beforehand. Check out the multitude of youtube videos on all natural fiber processing and gear up for future innovation!! 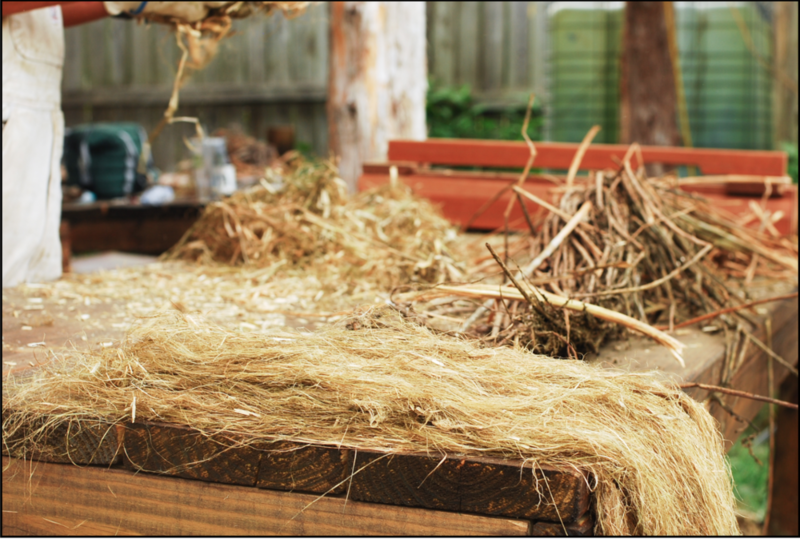 Hemp fiber offers a multitude of possibilities. Within the industry there is an idealistic side and a realistic side. Right now fiber production of hemp seems ideal but if far from being realistic economically. Many universities have tried and failed at trying to prove the economic viability of hemp as a fiber crop. What that means is the markets for selling fiber products are not quite ideal. However the markets for CBD and seed production seem a lot more developed at this current time. That is why we believe fiber has the most future potential for innovation. The products that will allow fiber to dominate have simply not been developed in a large scale, highly marketable way. This page was authored by Paige Della-Franca. Paige has researched industrial hemp in the state of Tennessee since 2015 both self funded and university funded. 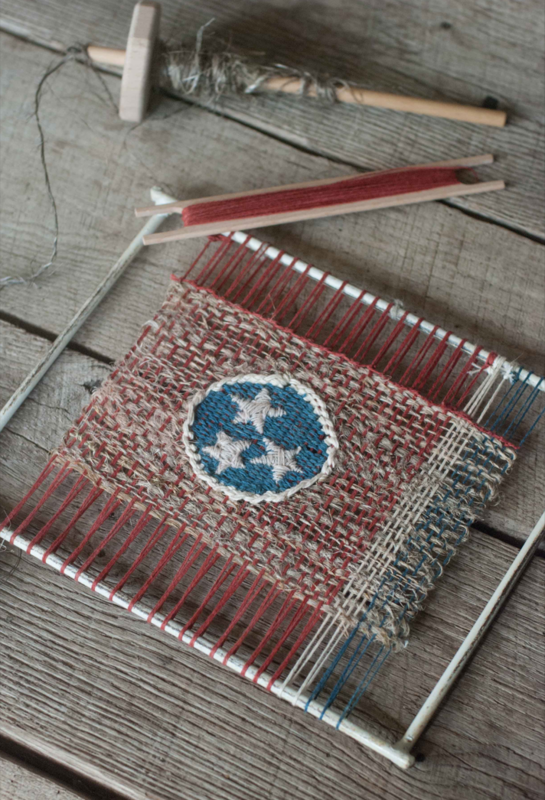 She has fostered community and many projects within the state of Tennessee that has progressed the program forward. She previously served as a board member and officer of the TNHIA. Paige is devoted to being a catalyst for sustainable agricultural growth of industrial hemp and other crops that offer farmers true economic prosperity.